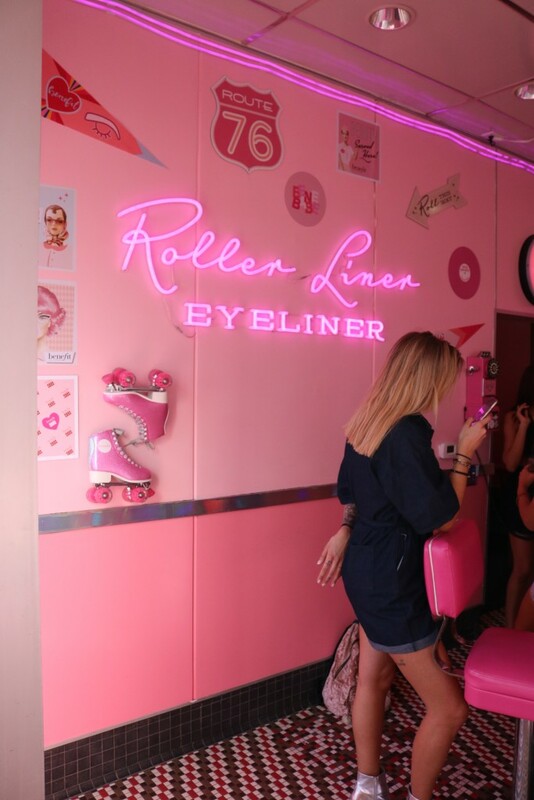 OUT & ABOUT IN LA: Popped into the Benefit Cosmetics Roller Liner Diner the other day to try out their newly launched Roller Liner and Roller Eye Bright Pencil. It was everything you could imagine and more, a complete Instagrammers dream. I am so excited I finally got to try with the new liquid eyeliner and waterline pencil at the diner! For those you not familiar, the new liner is meant to accompany the brands super popular Roller Lash Mascara! The liner even comes in brown and black. 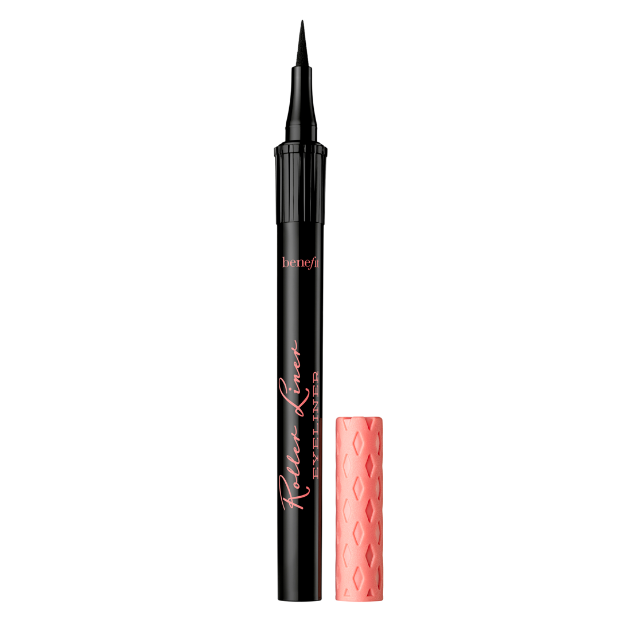 A smooth felt tip liner means we will be perfecting those cat eyes in no time, meow! Located on Melrose Avenue, the diner is still open through Monday the 21st. Guests can either walk in or make reservations with OpenTable or at RollWithBenefit.com. 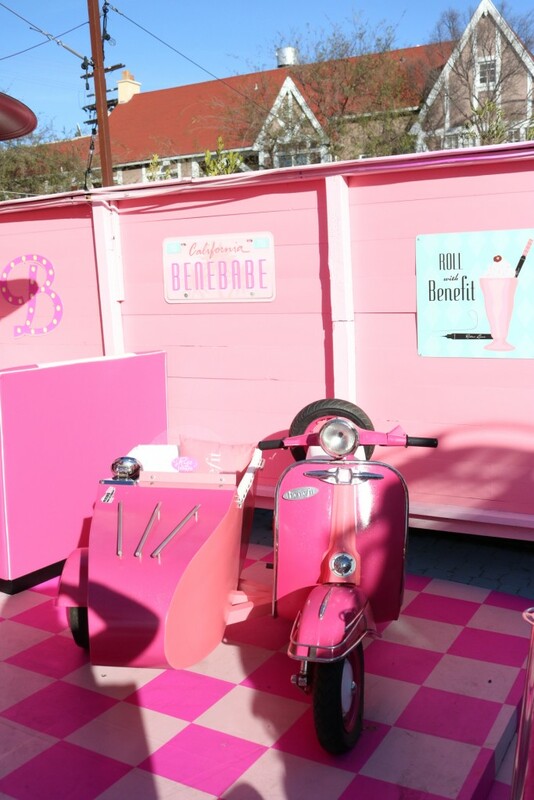 Be prepared for TONS of photo opps like a side car motorcycle, Benefit themed tables and chairs, and a kitchen sink overflowing with pink bubbles. Plus, the pop-up will also be selling the new products, as well as Benefit bestsellers. You’ll also find free ice cream cones and sandwiches from The Milk Shop. 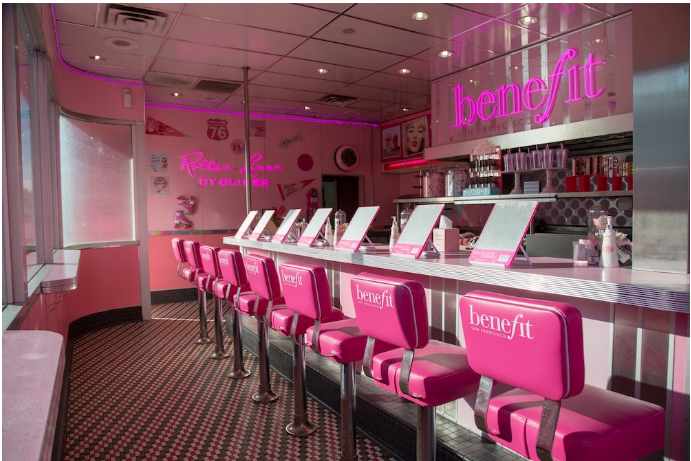 The coolest beauty pop up we’ve ever been to? We think so. I went to Nordstrom and tried Benefit for the first time today. 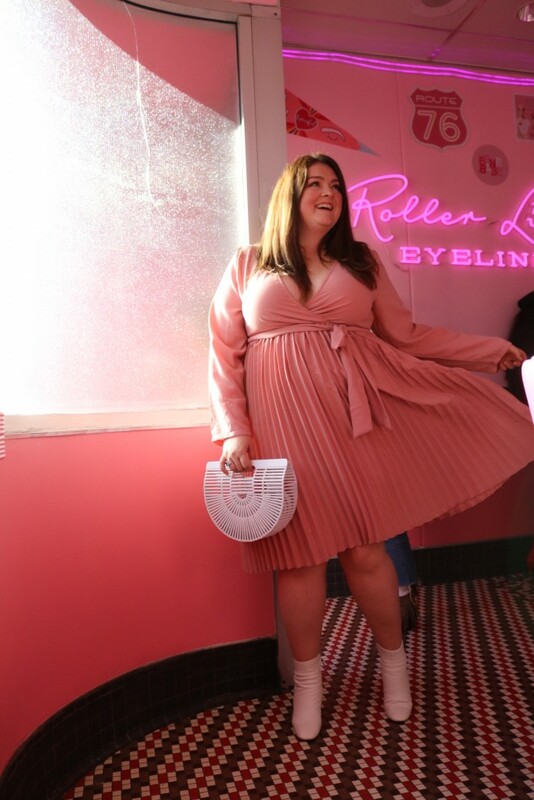 Loved their products and this dress is so cute on you! I LOVE this dress! The pink is perfect.